Lately, we’ve been talking a lot about the BolderBOULDER. Mainly because Meridith is flying in to run it with me. She arrives on Friday and WE ARE SO EXCITED about that. Also, I’ve been touting the race as one of the best in the country and checking out some of the sponsored gear the BolderBOULDER Folks were kind enough to share with me. The Skechers GOrun 4s I tried were pretty sweet, and the Helly Hansen tech race shirts are always awesome. Bottom line, this race has the hook-up, and I’m sharing with you! 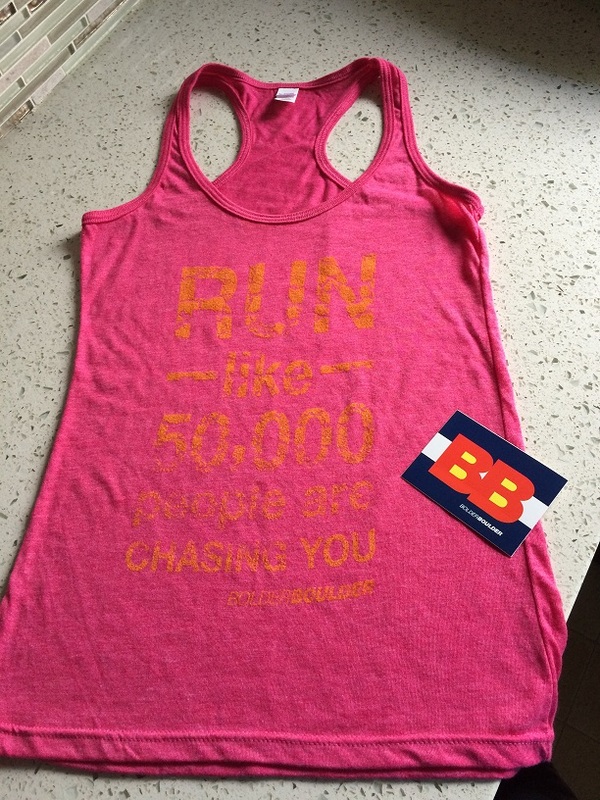 Up for grabs is this adorable pink tank top, and a BolderBOULDER bumper sticker. The shirt is size small, and they do run true to size. It’s super lightweight and perfect for summer training! 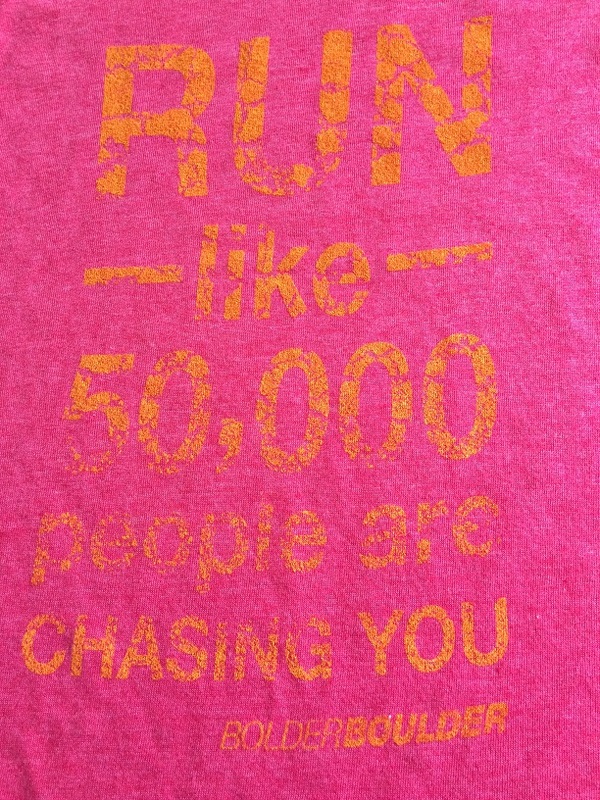 It features a new tagline, “Run like 50,000 people are chasing you”. Because that’s how any people run the BolderBOULDER. I know, super cute, right? And it’s so soft and comfy, I know it will be a favorite of whomever wins it! Enter often, this giveaway ends on Wednesday, May 27th. Good luck everyone! This post is sponsored by the BolderBOULDER who provided the tank top to Scootadoot to do with as it will. We decided to give it away to one of our beautiful readers. It is size small, and is a polyester cotton blend. This entry was posted in brand ambassador, Giveaways and tagged 10k, BolderBOULDER, giveaway, Jenn, run, running. Bookmark the permalink.